The SamcoSport range of FluoroSilicone Universal Race Parts, consists of the same shapes & sizes as the standard polyester range. For custom applications Samco Sport offers 45 degree bends to enable you to fit the best in high performance silicone hoses to whatever engine you have. 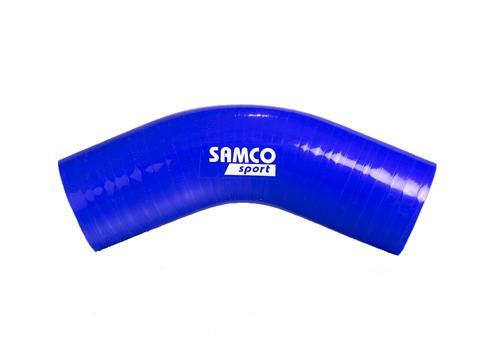 Available with the same high spec SamcoSport finish, these Fluoro-lined hoses are Oil/Fuel vapour resistant, although are not recommended for continuous transfer or immersion of fuel, and not suitable for fuel lines.